UK employees are optimistic when it comes to embracing automation technology in the workplace, new research has found. Despite widely-reported claims that AI and other technologies will lead to widespread job culls across multiple industries, new findings from Automation Anywhere found many workers are actually positive over the impact the technology can have. Surveying 4,000 employees in large enterprises across the UK, USA and India in a major study with the University of London, the company found that only a small proportion of workers view AI as a threat. 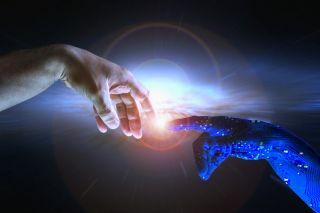 Overall, almost three quarters (72 percent) of workers said they viewed AI technology as something they work with, rather than something that will replace them - with just eight percent reporting the opposite. Over half (57 percent) said they believed the opportunity to work with different types of AI or automation technology would benefit their productivity in the long run - compared to just 16 percent who feel the opposite - with two thirds (66 percent) also saying they want to know more about how AI can help them do their job. However, the report warns organisations not to overstate the capabilities of automation and AI – with just over half (53 percent) of respondents surveyed claiming they had heard a ‘lot of people talking about AI without knowing what it really is’. “We commissioned this research to gain a deeper understanding of the practical considerations in scaling automation and AI – for our customers, for our partners, and for ourselves," said Mihir Shukla, CEO and Co-Founder of Automation Anywhere.